We tend to love all things space around here, and that’s why we have serious discussions about whether the Orville or Star Trek Discovery works better, and games like Out There are completely irresistible to us. 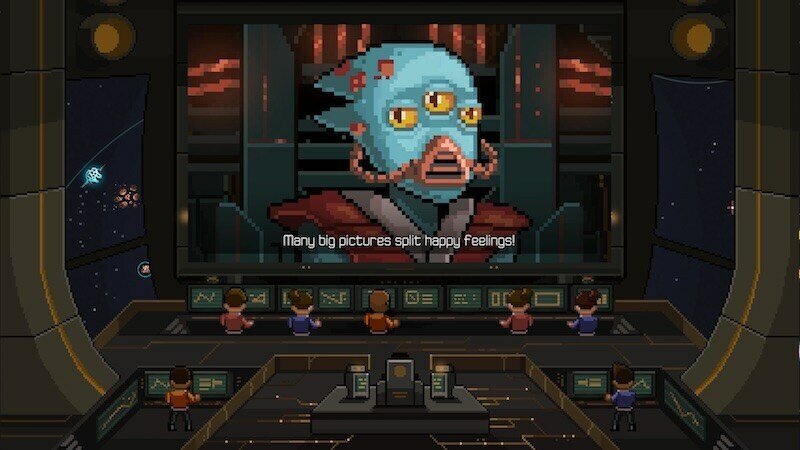 So it should be no surprise that as soon as Halcyon 6: Starbase Commander released on iOS late last week, we snapped it up right away. The game has a lot of different elements – you get to build a ship and command space fights, manage action on the ground, and much more; there’s a touch of Out There to it, and a bit of Fallout Shelter, and it feels a little bit like a classic sci-fi TV show. There’s a sense of humour, and the cartoon-like visuals are charming. Your main objective is to reclaim and rebuild a derelict space station left behind by an alien race, with the challenge of an impending alien invasion hanging over head. You need to use diplomacy to find new allies, while researching new technologies that make your forces more potent, and gather up resources along the way. All of these actions take time, and a big part of Halcyon 6: Starbase Commander is just balancing the needs of base building with exploration, and combat. However, the gameplay is fairly straightforward with commands issued through menus that make it easy to use with a touchscreen. Base building is a fun part of the experience as you build rooms and carry out research, and it works a lot like Fallout Shelter. But that’s only one part of what you’re doing. You’ve also got to assign fleets of ships (and the crews that run them) to different stars, to explore, find resources, find potential allies, and fight your enemies. 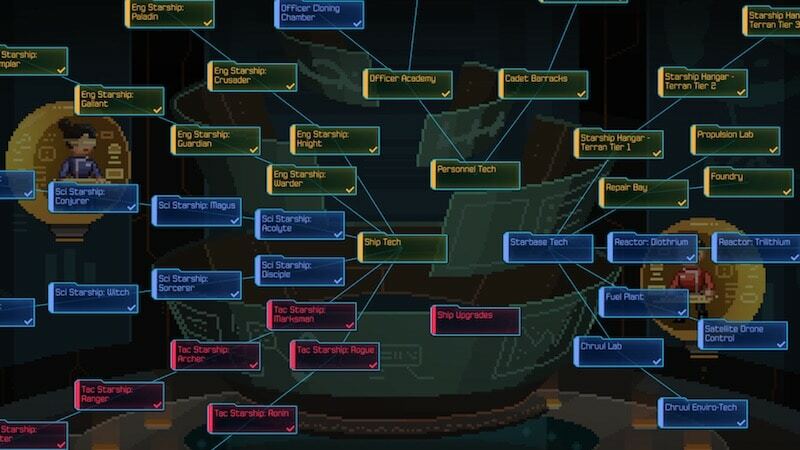 Along the way, you have to assign crew-members to different stations of your base or to ships – and this opens up the combat sections as the crew members and the ships bring together different bonuses to create a fairly complex game of rock-paper-scissors as you face off against any number of enemies. Most of the things described so far all happen through procedural generation – this means that each play-through feels unique. At the same time, as you cross certain milestones, it triggers story events that build up a larger narrative of impending doom, and although it’s pretty simple and cliched in parts, it’s a fun ride that’s helped along by a tongue in cheek tone and a steady sense of humour. The various alien races you meet add a lot to the game, as they all have their own story, and help keep things fresh. In terms of “content” there’s a crazy number of things that you need to do, many encounters that you need to have, all while unravelling the story. Your crew members acquire traits and abilities as they gain experience, and that will need to be juggled so that you are getting the most out of them. Combine that with the weird characters you’ll come across and you end up with a very engaging game in terms of both mechanics and narrative. We’re also fans of how the game looks – it’s not exactly pixel art, but it has a definite retro style, and, if you are a certain age, it looks a lot like cartoons you watched in your childhood. The screens are easy to read and the use of bright colours and oversized heads on characters makes the over the top violence seem like wholesome fun. It’s fair to point out though that this game is not to be taken lightly. As mentioned above, there are a lot of different things that you need to do in the game. You’re building the base, managing research, exploration and away missions – and you can’t really neglect any part of it. The game isn’t playing our in real time so you can always stop and think about what to do next, but many of its individual components could be turned into full fledged mobile games with a little tweaking. At first though, the game is pretty straightforward, and only builds up steadily, so you shouldn’t be overwhelmed. The battles are particularly enjoyable, and surprisingly deep. The ships have their pros and cons, and can work together to fantastic effect, and they’re also upgradable, along with the star-base. Your crews also gain new abilities if they survive, and as a result the game keeps evolving as you play. Halcyon 6: Starbase Commander is a universal app that will run on both your iPhone and iPad, and we tested it out on the latter. The large display makes it easy to make sense of everything that’s happening on the screen, and the touch interface feels highly intuitive. Priced at Rs. 550 ($6.99 on the US App Store), Halcyon 6: Starbase Commander is slightly on the expensive side for a mobile game, and its price on Steam (for PC) is Rs. 479. Still, that’s not much of a difference, and we felt that the touch interface works really well, so it’s worth paying that little bit extra if you have an iPad. On the iPhone, the smaller screen will make it less appealing, but if you’re used to playing strategy games on the phone then this should also be fine. There are no in-app purchases and no timers either, so it’s pay-once and play. Halcyon 6: Starbase Commander is out now on the App Store priced at Rs. 550. You can also buy it on PC via Steam.